Spending the week on construction sites and office visits, GLCM decided it was time to see a bit of what St. Louis is known for. 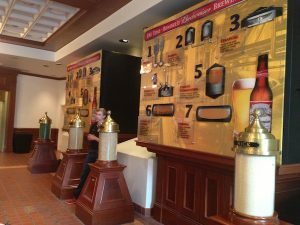 We decided to visit the Anheuser-Busch brewery and go for a tour of the factory. 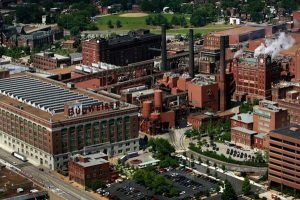 St. Louis is home of the North American headquarters of Anheuser-Busch for the United States and Canada since 1852. It is also the leading American brewer with 47.6% of the U.S. beer sales to retailers. This factory has seen a lot throughout its history, and has even survived the prohibition days. To keep afloat during prohibition, Anheuser-Busch decided to begin manufacturing sodas and other products. This didn’t last long seeing as the soda they created was compared to carbonated milk, not exactly an award winning flavor. After 3 years of producing this, they decided to stop producing the soda. When prohibition was announced over, the factory sent their iconic Clydesdales pulling beer through the gates for the president himself as a gift. 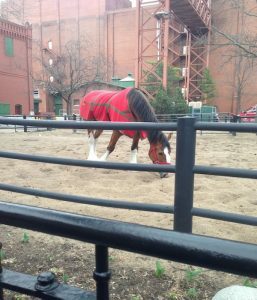 The tour started with a look at the magnificent Clydesdales that are a part of the symbol for the brewery. They are some of the most recognized icons and definitely draw a crowd. Shortly after seeing the horses we began the informational portion of the tour. The first stop was learning the history of the beer formula and their seven step brewing process. The unique hops and rice formula are some of the reasons Anheuser-Busch has such a unique taste and popular recipe. We were able to see the giant milling machines and sifting tubs as well as the giant vats that the beer sits in to ferment. Once that was done, we took a pit stop at the packaging center. The center is so efficient, that 80% of the bottled drinks never hits the factory floor because it is immediately shipped out to consumers. 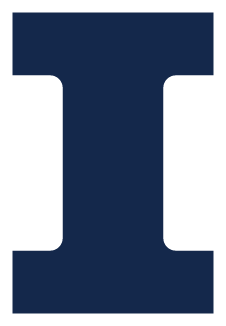 The other 20% is only on the factory floors for 4 hours for a usual turnaround of 12-24 hours for shipments. Our hour long tour concluded in the Beer Garden with complimentary refreshments and a stop for lunch. 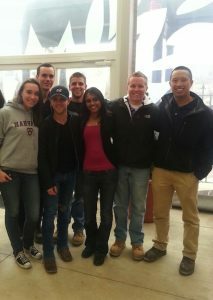 We were lucky because at the same time as our stop there was a radio concert with Justin Moore. GLCM was able to enjoy the country music and a few of us were able to grab a picture with him. Ending our spring break trip on a high note in St. Louis, GLCM is grateful to everyone who hosted us this week and helped us enjoy the city.